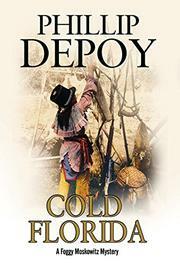 A tough Jewish car thief’s attempts to pay back a debt he feels he owes lands him in a fight over—wait for it—Seminole lands. That Foggy Moscowitz has uprooted his life as a car thief in Brooklyn to come work for Child Protective Services in Fry’s Bay, Florida, is the least strange part of this tale. A late-night, or early morning, call from Sharon, his boss, sends Foggy on the adventure of many lifetimes. Sharon dispatches Foggy on what she promises will be a quick run to the local hospital to remove a newborn from her junkie mother, one Lynette Baker. But there’s a problem: both parties have checked out by the time Foggy arrives. And another problem: the infant was born addicted and needs special medicine if she’s to survive the next few hours. Whether or not Foggy finds the newborn, a task somehow involving a doughnut shop, a discussion of penguin photography, and some reminiscences of an excellent brisket, he’s now determined to understand the background of the case. His research leads him to the local Seminole population, a group that protects its own, though it doesn’t always identify who its own might be. Luckily Foggy doesn’t have to worry about getting hurt because his fighting skills are close to superhero level. And this setup only starts things off for DePoy (December’s Thorn, 2013, etc. ), whose readers may need their own vision quests if they’re to relax and enjoy the trip. Those who are able to roll with Foggy will get an unholy kick out of the characters’ flexible allegiances and the hero’s colorful descriptions.